So this has been a project that has been on my to-do list for a long time and I’m so glad that I finally got to it! When we built our home and moved in almost a year ago there was this corner area off the kitchen that just needed something. I have always wanted a desk area near my kitchen so my family could be on the computer or doing homework and we could all be by each other. It’s turned out to be a great space that I love! 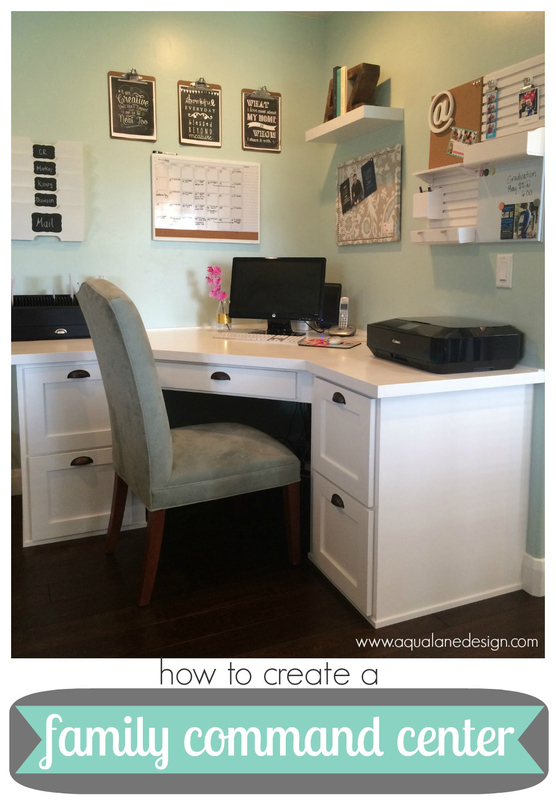 We had white shaker style cabinets in our kitchen so I had the desk installed using the same cabinetry. So far it’s just kind of been sitting here without anything going on so I FINALLY got it all put together! It looks great and is so functional for our family!